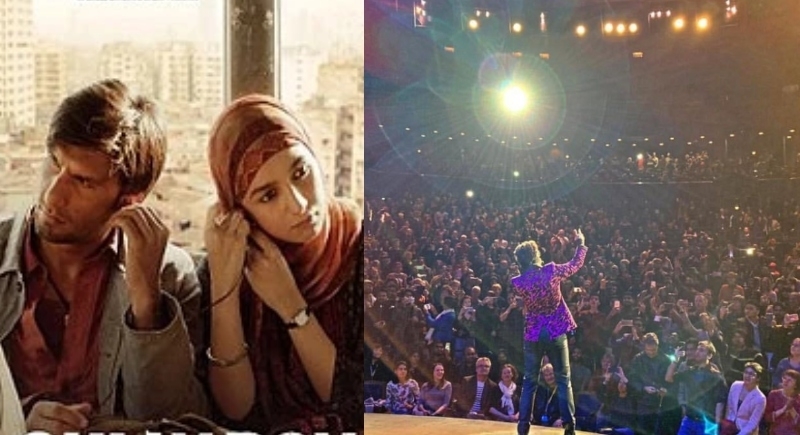 Berlin, February 11: One of the most talked about films of 2019, Zoya Akhtar's much-awaited “Gully Boy”, premiered at the famous Berlin International Film Festival on February 10. Featuring Ranveer Singh and Alia Bhatt in the lead, the film had a packed house premiere at Berlinale. Amazed with well received “Gully Boy”, Artistic Director of Toronto International Film Festival, Cameron Bailey, took to twitter saying he has never seen such a response for any movie at Berlinale in past two decades. Ranveer Singh got the crowds at the festival cheering enthusiastically as he set the stage on fire with “Apna Time Ayega”, famous rap song from the movie. Even the festival’s official Twitter handle could not resist thanking Ranveer for his energetic rap performance. Writing back to them, Ranveer described the night as “memorable”. “Gully Boy” is a film about an up-and-coming rapper who sets out to achieve his dream by rhyming about his life on the Mumbai streets. Produced by Ritesh Sidhwani and Farhan Akhtar, the fim has been a talk of the town ever since its smashing trailer release. Along with Ranveer Singh and Alia Bhatt, it also stars Kalki Koechlin, Siddhant Chaturvedi and Vijay Raaz. Directed by Zoya Akhtar, “Gully Boy” releases on February 14.